I’ve had friends who’s families grow pecans (I am SO SOUTHERN) but almonds are not something we grow down south. 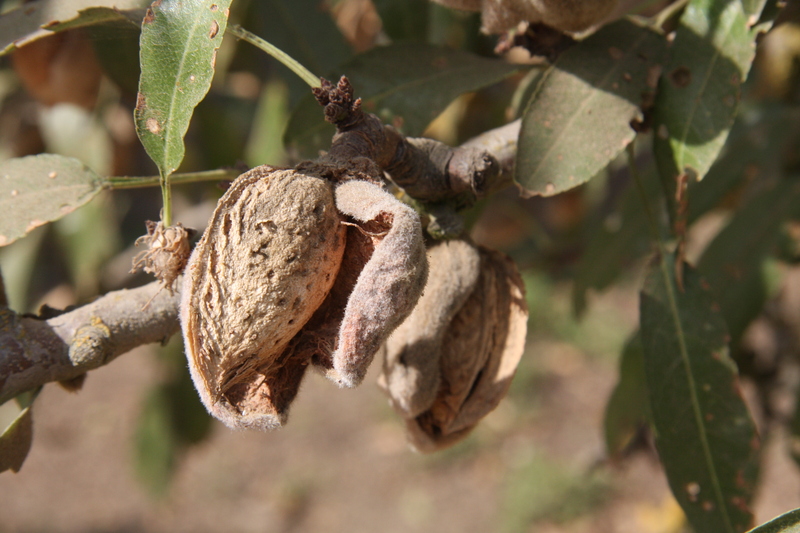 And even though I had seen almonds before, I hadn’t had the chance to talk about the basics of growing almonds — that’s where Brent Boersma enters! 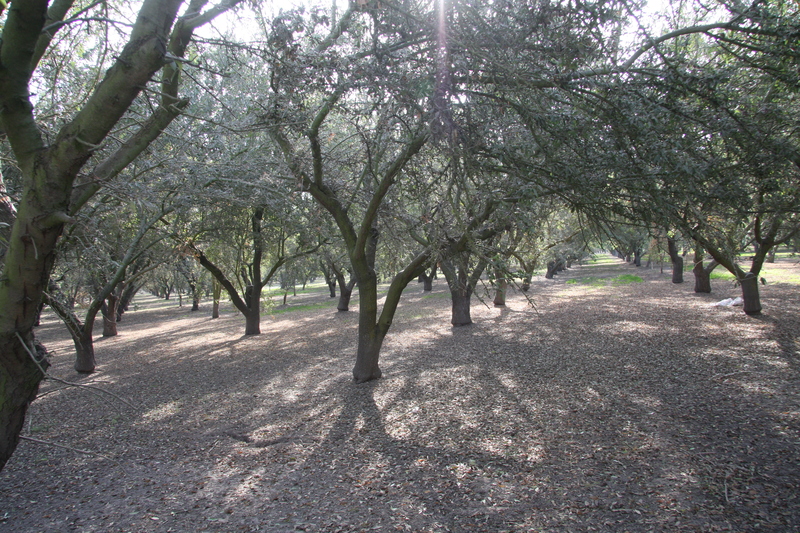 Brent and his family have the fourth generation Boersma Farms near Ripon, California where they grow several hundred acres of almonds. 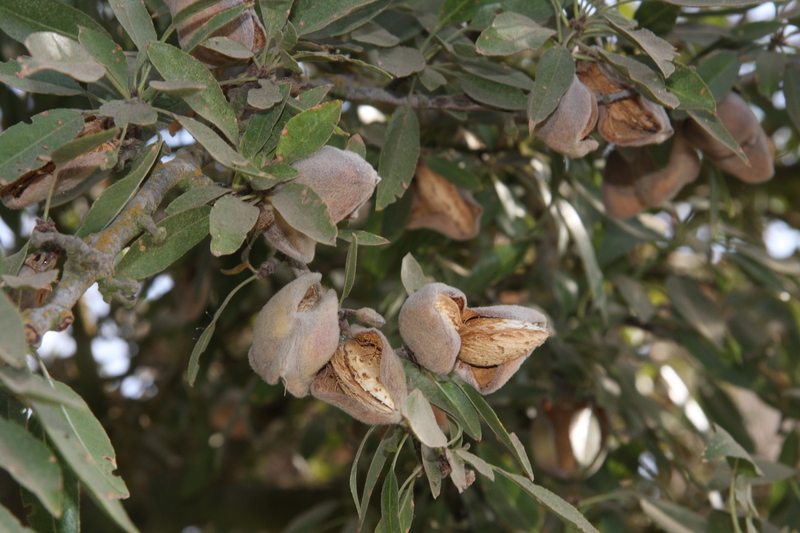 Yes, I will have to do a couple of posts about what I saw and learned, but first, I want to show you how the farm looks and how almonds look on the tree. Here’s a shot of one of the farms with beautiful trees lined up. The hulls on these almonds are still a bit green. As they dry down, they are ready to harvest. 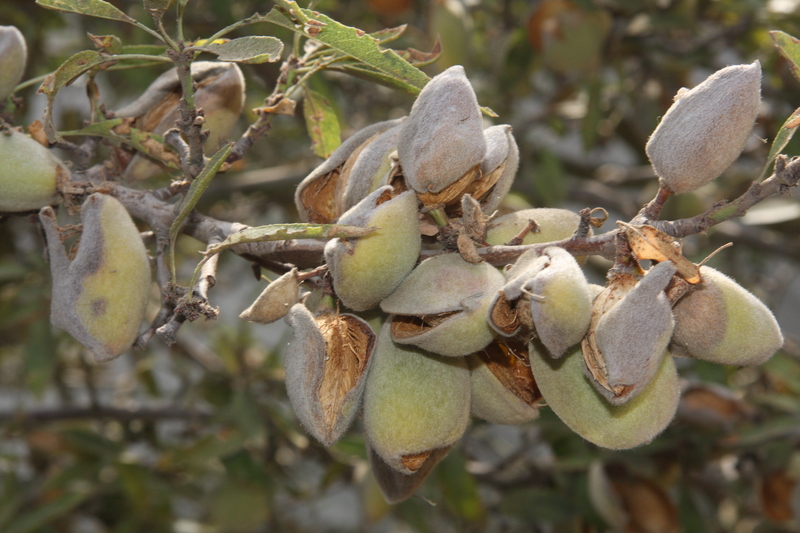 Closeup of almonds showing the hull pulled back from the shell as it dried. Wow, I´ve never seen Almond trees! Very beautiful photos! I love Almonds, too! Thanks for coming! I was amazed too! So beautiful and hen in clumps on the trees, such snacking goodness! Thanks for coming by & linking up! Its so nice seeing this!we make different kind of brand products of Almond ,I am fascinated. Love the almonds and harvest time. Exactly! I lucked into the perfect time of year to be there! Right at harvest! Have a wild and wacky Wednesday! Thanks for following the link & commenting. Glad you enjoyed the post! Very cool, I never knew that! Cool! When I lived in Oregon I got to see Filbert farms, but not almond ones. I am partial to almonds since my last name is Almon! Great pictures, I don’t think I’ve ever seen an almond tree before. That seems to be fairly common it seems from the reaction. I’m glad I thought to capture every minute of my morning. LOL. Have more coming! I love almonds and pecans both. Thanks for sharing this — it’s nice to learn stuff I didn’t know about things I love. Have a not-so-nutty WW…. LOL! Not so nutty! I love them both too! Almonds are my very favorites–especially when coupled with Hershey’s chocolate. Hope you have a Happy Halloween! It’s cool to see parts of ag that I’m not familiar with. Thanks for sharing, Janice!